The thought of getting a car that’s not new, but new to you is usually very exciting, but it can also be a little daunting. How do you know the car has been well cared for? Is it going to be reliable? Is this car the best choice for you? Answering these questions can be hard, but knowing what to look for can help you find the best car for you. Dealers have to meet a number of regulations such as ensuring the odometer is correct, the car is not financially encumbered, the vehicle needs to meet the roadworthy certificate standard, the dealer can be liable for expenses if the vehicle is not in good condition and a dealer needs to uphold a good trading license which can be revoked by the office of fair trading for not operating within the constraints of consumer law. When buying from a dealer, your car will only come with a dealer statutory warrant if it is under 10 years old and under 160,000km on the clock at the time of purchase. Auctions can be a cheap option, where you bid against others to buy a vehicle. One of the difficulties of buying at auction is that there isn’t much of an opportunity to inspect the car before it’s purchased. You might be able to walk around it and look inside, but that’s probably about it. You can’t take it for a test drive and there is no warranty. This can be a risky option. Buy from a private seller. Sellers usually let you take their car for a test drive and tell you about the history of the vehicle. However, you have no guarantee that the seller is being truthful about the history of the car. If you do purchase the car and something goes wrong, there usually isn’t much you can do. This means you do have to take the opportunity to really scrutinise the car and determine if it is a good purchase. A pre-purchase inspection is a great way to make sure the car you are purchasing is in good condition. Looking at the exterior of the car can provide some idea as to how the car has been cared for. Scratches and bumps can be costly to fix, so make sure to carefully look over the entire body. If left in the sun without proper care, the paint can lose its protective layer. This is especially prominent in our Brisbane sun. Paint can be expensive to fix, and is an indicator that the car hasn’t been well cared for. For SUVs and 4WD, look underneath the car for any signs of damage. This can indicate that the car has been taken off-road, meaning it may have been in some strenuous conditions. The interior of the car can also provide some clues about how it has been cared for. 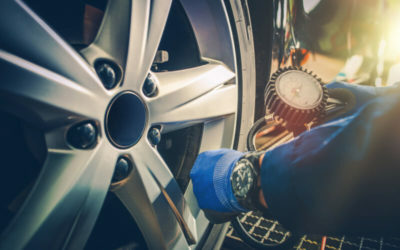 Understandably, accidents are going to happen, but if there are stains, rips or a bad odour, it can indicate that the car hasn’t been well maintained by the owner. Looking at the mechanical components of the car is arguably the most important step. 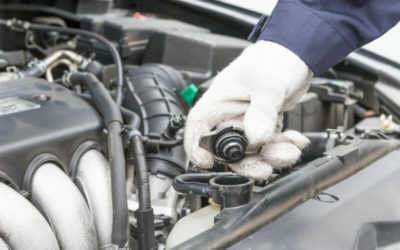 Under the bonnet, the engine should be relatively clean and tidy without any drips or leaks. Looking on the ground underneath the car can help to reveal hidden leaks. If while looking at the tyres you notice uneven wear, it could be a sign of a poor steering alignment or decaying suspension components. If possible, take the car for a test drive. Listen for any odd sounds or feelings. Take extra note of the gearbox or any issues with the car’s performance (for example: stuttering issues while accelerating or a pause before anything happens, brakes not doing much or shuddering etc.). The owner is required by law to provide a roadworthy certificate if you purchase their car with registration. This means it passes basic roadworthy standards (read more about roadworthy certificates). That said, a roadworthy doesn’t check the condition of the engine and other critical mechanical components, only that they meet minimum standards. For a comprehensive vehicle health checkup, you should book a pre-purchase inspection. For help buying a second hand car, ordering a roadworthy or to book a pre-purchase inspection, contact Australian Mechanical today on 07 3356 1538 or use our easy contact form.